Automotive telematics is an advanced automated systems designed for the users of automobiles that assimilate cellular communication systems. 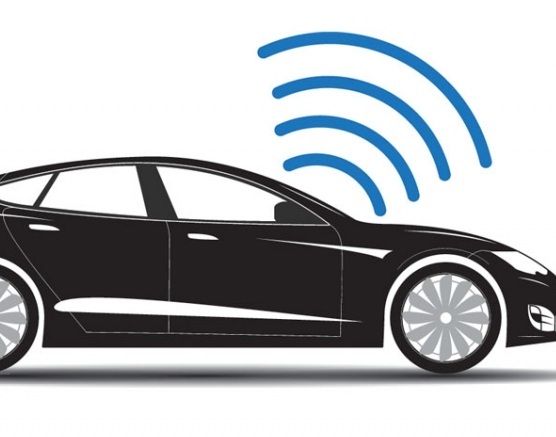 Automotive OEMs provides connected car services with several connectivity options such as embedded telematic devices, tethered devices and smartphones connectivity. Automobile manufacturers often use a combination of these technologies to meet the requirements of different customers and to keep pace with rapid development in mobile technology. The global automotive telematic market is anticipated to grow significantly owing to rising number of road accidents and security concerns of user. Government automotive safety norms and regulations favoring the implementation of telematics in commercial and passenger vehicles are also expected to be the major factor behind the positive growth of global automotive telematics market. Increasing penetration of smartphones and tablets are further expected to boost the automotive telematic market growth as number of telematic rely on smartphones for connectivity and its advanatges over vehicle built-in applications such as easy upgrade and low cost. In 2015, more than 18% new cars sold across the globe were equipped with the embedded telematic systems. North-America is the mature market in terms of implementation of telematic systems in cars with attach rate of 38% closely followed by Europe with 21%. China is the largest automotive market with its huge domestic automobile market and manufacturing units. China has emerged as high potential market for automotive telematics with attach rate of about 12%. Moreover, major market players such as General motors and BMW are providing automotive telematic solutions in their vehicles, offering telematic technology as standard feature across vehicles models and geography. However, some factors related to data security and privacy concerns are expected to hinder the automotive telematics market growth. Moreover, lack of telematic infrastructure in developing regions such as India, Brazil and Russia are further likely to hold down the growth of automotive telematic market in near future. Complexities of telematic devices leads to breakdowns and high error rates are some of the major challenges for the market players. Extremely sensitive telematic systems are more prone to serious breakdowns with even single error in the system. Additionally, the automotive telematics market is very data-intensive in nature. Data security and complexity of telematic system are expected to restrain the growth of global automotive telematics market. The global automotive telematics market accounted USD 17.38 billion in 2015 and is anticipated to expand at a compound annual growth rate of 24.2% over the forecast period i.e. 2016 to 2024. The estimated automotive telematics market size will be approximately USD 98.76 billion by 2024 owing to spiked adoption of telematics systems in automotives. Moreover, the total shipments of OEM embedded telematic devices accounted for more than 12 million units across the globe in 2015. The shipments are expected to reach 55 million units by 2024 with compound annual growth rate of 20.9%. Gorgraphically, North-America region dominates the global automotive telematics market with more than 34% market share closely followed by Europe with more than 28% market share in 2015. Asia-Pacific region accounted for 21% of the global automotive telematics market. Despite slower growth rate owing to slow adoption of telematics, market is expected to witness strong growth over the forecast period. China has emerged as a major shareholder in the automotive sector and largest market for automobiles. China holds strong position in automotive components sector, and it is expected to provide considerable pace to the adoption of telematics in Asia-Pacific region. India also emerged as attractive market for the automotive manufacturers owing to strong domestic demand and developing infrastructure. By 2020, automotive production across the globe is projected to cross 110 million vehicles and the trend is anticipated to significantly raise the global demand of automotive telematics market.